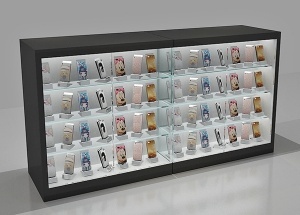 Cell Phone Showcase,Cell Phone Accessory Display Rack-Jova Display Furniture Co.,ltd. 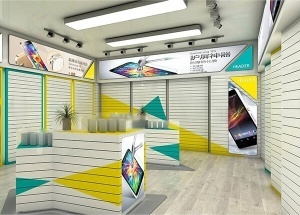 We have more than 15 years experience in mobile shop furniture and computer showcase industry. 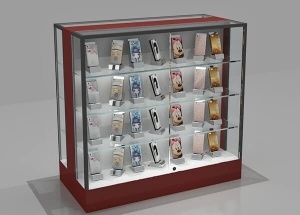 Find the most effective and economical phone displays solution for our client. All in one service: Measurement shop size, 3d design, production phone showcase, shipping, installation service, after service. 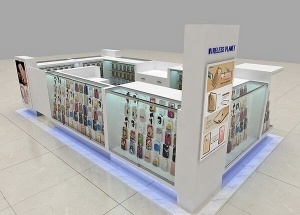 This USA mobile phone accessories kiosk project was 3x5 square meters, design by our shop designer. The mobile phone kiosk showcase were mainly white baking paint finish . 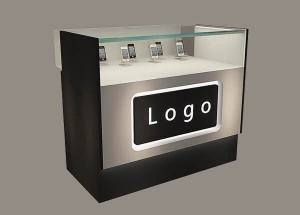 This glass display counter is widely used to display phone, camera, digital product, jewelry, cigarette in the stores. It'is made by wooden(MDF), toughened glass, LED lights, etc. This 4 multilayers display rack can be made double side. 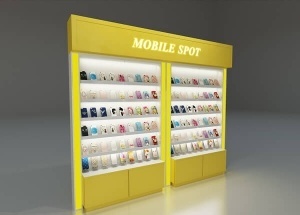 It's used to display phone accessories, phone case, phone, digital product, gifts in the shops. 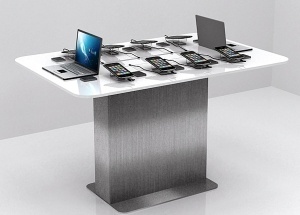 This metal cell phone display table is used as a kiosk showcase. It's used display phone, camera, computer in the stores. It's made by stainless steel, etc. 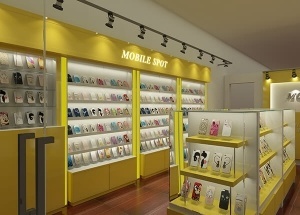 This HUGMIE mobile phone accessories store Ireland, Europe was made at 2017. we made many stores for HUGMIE brand. The accessory display racks mainly white yellow light blue baking paint finished. This wooden wall store furniture is a wall display with storage cabinets. 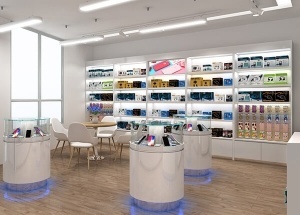 It is widely used to display phone accessories, digital product, gifts in the stores.